At GoCardless, as well as helping business take payments, we're proud to support many non profit organisations. Making the world a better place has always been a core part of what motivates us as a team, so we're always delighted when we find people using GoCardless for particularly admirable causes. If one of your New Year's Resolutions is to give more to charities and non-profits, have a look at some of these awesome GoCardless users. If you’re already using Direct Debit, our bulk change system means that you can transfer all of your existing customers over without them doing anything. Send them regular email reminders using this template. Saves us admin time, so we can focus on giving you great service. Paying by Direct Debit saves you time - you only have to do it once. You are fully protected by the Direct Debit Guarantee. This allows people to click through to the GoCardless payment page directly from the invoice and set up the payment immediately. You can use Plan Links to get a link to add to invoices or use an accounting integration to do this automatically. You may also want to use our 'Pay with GoCardless' buttons. We're excited to announce our new referral scheme - you can now earn money by recommending GoCardless. We will give you 10% of the fees we make from anyone you refer, for a year. We will also give the person you refer £50 credit to go towards their GoCardless fees. Anyone with a GoCardless account can use the referral scheme. If you are a reseller or don't have an account, you can create one for free in seconds. The scheme is really easy to use. We give you a referral link which you can share with anyone you wish to recommend us to. This link can be found in your account settings. You can share this link by email, social networks or word of mouth; or from your blog or website. When the person you refer clicks your link they will be taken to our site. We will remember that it was you that referred them to us and if they sign-up, on this or a subsequent visit, we will activate both of your referral bonuses. Just let us know if they forget to use your link - we can easily activate the referral link for you. Everyone you refer will be displayed in the referrals section of your account. We will show you when they signed-up and how much commission they have earned you. Click here to find your referral link. Find out more at gocardless.com/refer or email help@gocardless.com. We're excited to announce our new variable Direct Debit tool. 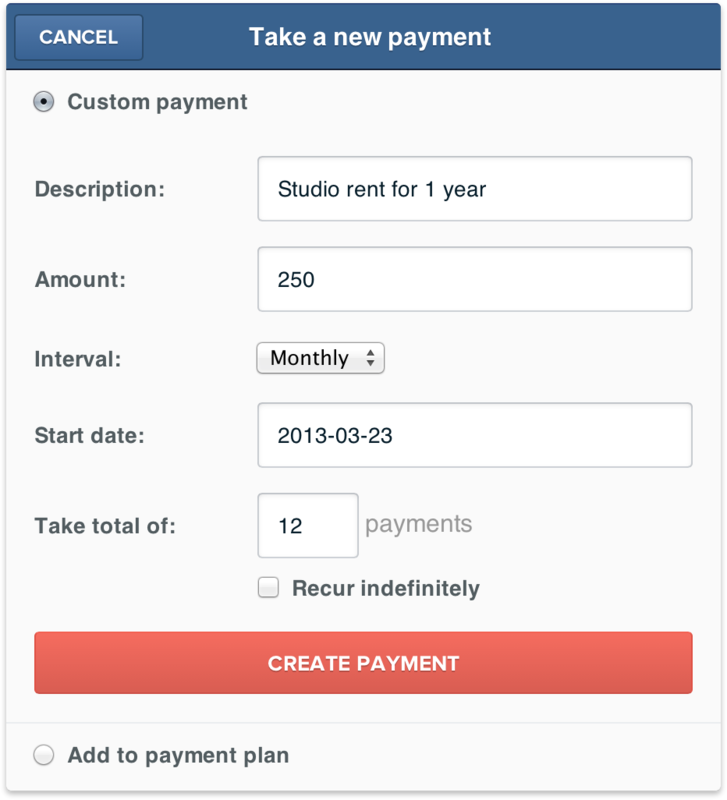 Taking recurring payments has never been easier. We're really proud of this product - now any SME can access Direct Debit through a cutting edge online tool. GoCardless is accessible without the lengthy application process, up-front fees and transaction limits usually associated with Direct Debit -- we give you instant, free access. For our press release, please see here. GoCardless now serves more companies than any other UK Direct Debit provider, and many of our customers have taken the time to tell us exactly what they want from online Direct Debit. We listened. Business owners told us they wanted the flexibility to bill varying amounts on an ongoing basis. So we started building it. And we kept listening -- testing this tool with hundreds of companies. This release is the result of their generously given feedback. Thanks to them it offers the flexibility to meet the needs of any business. And we won't stop listening now. If you need it to work differently just tell us. From the GoCardless website you can request online Direct Debit authorisation from customers in two clicks. No more paper mandates - your customer can authorise online in seconds. Once authorised you can take one-off and recurring payments automatically. We will notify your customers by email every time a new payment is taken, but they won't have to lift a finger. Sound like it might be a good fit for your business? Finding out for sure couldn't be easier -- you can sign-up online and try the product in under 10 minutes. There are no commitments so it's completely risk-free. We really hope you like this product -- we built it for you! We are a fast growing company in need of someone awesome to help make our company and team run smoothly. You need to be smart, organised and great at getting stuff done. It is a great role with lots of variety. You will be responsible for many of the important bits of running a growing company - everything from accounts & HR, to setting up our new office. You are the kind of person who can be trusted with sensitive information, or important tasks. Most importantly, when you say you will do something, we know that it will be taken care of. Developing new company processes. For example, to help new hires integrate quicker. It's a challenging role - at the moment these responsibilities are generally split amongst the founders. But if you are looking for an autonomous role with lots of responsibility then this could be the perfect job for you. Furthermore, it's a great place to work - you will be surrounded by smart people who all get on, and we encourage a casual, fun work environment: hours are flexible, and we like a game of pool or table football during the day. Email matt@gocardless.com if you think you might be suitable, or know someone else who is. NB. This is based on a blog post / job ad originally by 37 signals. Original visible here.